US-based Blackstone LaunchPad, a programme run by Blackstone Charitable Foundation to introduce entrepreneurship as a viable career path through its co-curricular, experiential and campus program, has awarded grants of up to $25,000 to four startups. These were picked at the programme's 'demo day' based on their products, business model, and scalability potential. The day-long pitch event saw twenty teams from Blackstone LaunchPad's programmes at colleges and universities around the country (US) compete with one another. "These new and innovative companies have the potential to impact their local economies, and we look forward to seeing them do so," said Stephen A Schwarzman, Blackstone's co-founder, chairman and CEO. 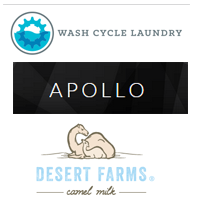 Wash Cycle Laundry: The startup uses bicycles to deliver laundry to hospitals, businesses, and end consumers. It received the first-place award of $25,000. Its founder Gabriel Mandujano also lectures on sustainable design at Philadelphia University. O'Dang Hummus: The startup manufactures and sells a range of hummus products. It received the second-place award of $15,000. Its founder Jesse Wolf attends the University of Central Florida and plans to graduate in May 2015. Carbon Origins: Founded by Amogha Srirangarajan and Kailey Shara, the startup is an aerospace technology company. It received the third-place award of $10,000. Both the founders attend Case Western Reserve University as undergraduates. Desert Farms: Founded by Walid Abdul-Wahad, the startup aims to create a global camel milk brand. It received the fourth place award of $5,000. The founder is a graduate of the University of Southern California. Modelled after a program at University of Miami and further developed and expanded by Blackstone Charitable Foundation, the accelerator is currently available to more than 350,000 students at 15 colleges and universities in the US. Till date, it claims to have advised more than 5,100 ventures.